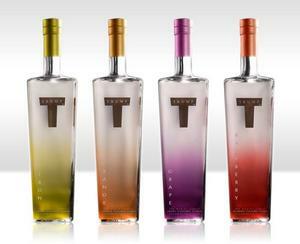 Trump Premium Flavored Vodkas WILTON, CT- Drinks Americas Holdings, Ltd (OTCBB: DKAM), a leading owner, developer and marketer of premium beverages, today announced that Trump Super Premium Vodka’s new Trump Premium Flavors, Citron, Raspberry, Orange and Grape, are off to a fast start shipping 3200 cases to distributors in the first 30 days of being available. The brand was showcased last week at the annual Wine and Spirits Wholesalers Convention in Las Vegas. In addition, the International Licensing Industry Merchandiser’s Association (LIMA) announced that Trump™ Super Premium Vodka, which launched just twelve months ago, has been nominated for the 2008 International Licensing Excellence Awards. These awards recognize the most impressive and successful licensed properties around the world. The Awards will be presented in seven categories at the industry’s most prestigious event, the annual LIMA Gala and Awards Ceremony, on June 11 at the Sheraton New York Hotel & Towers. Drinks Americas was founded in 2004 by J. Patrick Kenny, a leading expert in beverage sales and marketing. Mr. Kenny developed his industry expertise in a variety of management positions at the world’s leading beverage companies, including Joseph E. Seagram and Sons and The Coca-Cola Company. He has also acted as advisor to several Fortune 500 beverage marketing companies, and has participated in several beverage industry transactions. Drinks Americas develops, owns, markets, and nationally distributes alcoholic and non-alcoholic premium beverages associated with renowned icon celebrities. Drinks Americas’ portfolio of premium alcoholic beverages includes Donald Trump’s award winning Trump™ Super Premium Vodka and Willie Nelson’s Old Whiskey River Bourbon. The Company’s non-alcoholic brands include the distribution of Paul Newman’s Own Lightly Sparkling Fruit Juice Drinks and Flavored Waters. Drinks Americas recently formed a joint venture with Universal Music’s Interscope, Geffen, A&M Records to develop and market beverage products. The company has announced that it will be launching a selection of premium Cognacs and Sparkling Vodkas with Dr. Dre. Other products owned and distributed by Drinks Americas include award-winning Damiana Liqueur and Aguila Tequila from Mexico, Cohete Rum Guarana from Panama, and Rheingold Beer. Damiana, Old Whiskey River, Aguila Tequila and Cohete Rum are Gold and Silver Medal award winners respectively from the International Beverage Tasting Institute and the San Francisco International Wine and Spirits Competition. For further information, please visit our website at www.drinksamericas.com.